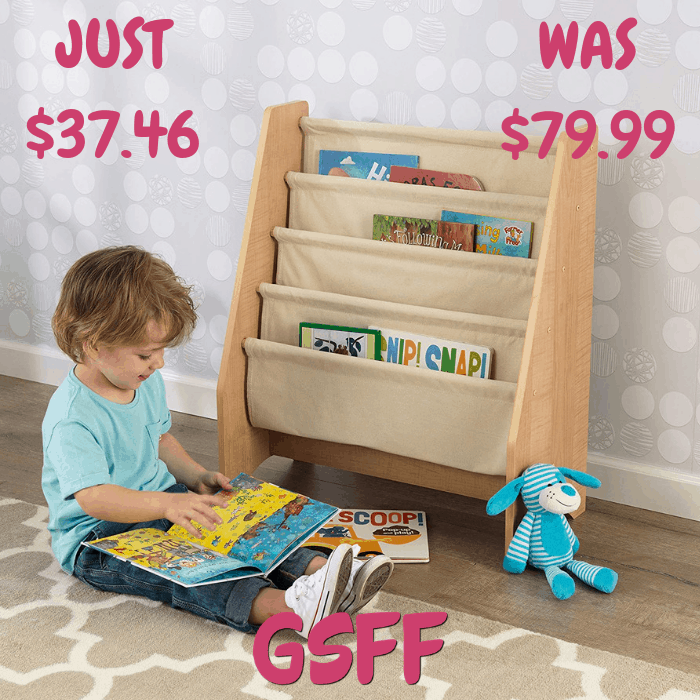 Kidkraft Sling Bookshelf Just $37.46! Down From $80! Shipped! You are here: Home / Great Deals / Amazon Deals / Kidkraft Sling Bookshelf Just $37.46! Down From $80! Shipped! Amazon has this Kidkraft Sling Bookshelf on sale for just $37.46 down from $79.99 PLUS FREE shipping! Simple and sturdy, the KidKraft Sling Bookshelf is a great way for your little ones to organize their books. The soft canvas shelves protect hardcover books, board books, coloring books or any other flat items your children cherish. The sturdy wooden frame means this shelf will stand up to enthusiastic readers for years to come.